Time and the availability of resources are the 2 core factors that affect the work-ability and success of a project. Strained time work frames and limited resources may lead to; substandard end product of the project, unmet quality requirements, unmet project objectives and goals, conflict among project team members and stakeholders among others. 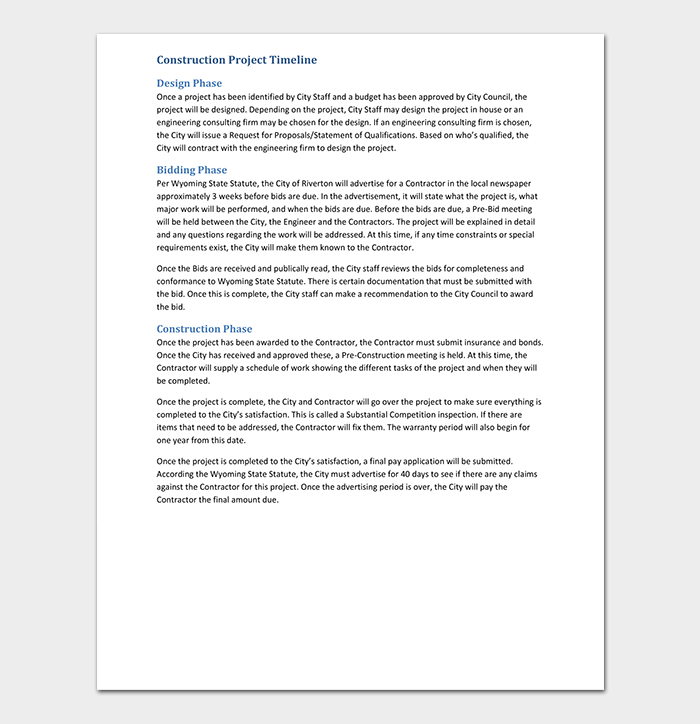 All these problems can be avoided through the formulation of a clear, concise, and detailed project timeline template. 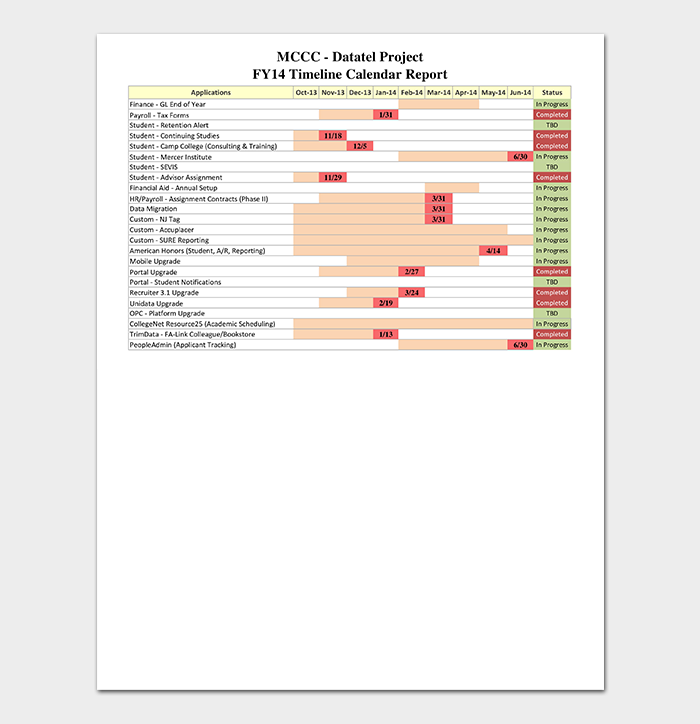 Project timeline template illustrates a breakdown of the project deadline, budget, project members and stakeholders, quality requirements, project milestones, and project time-frames of phase completion. 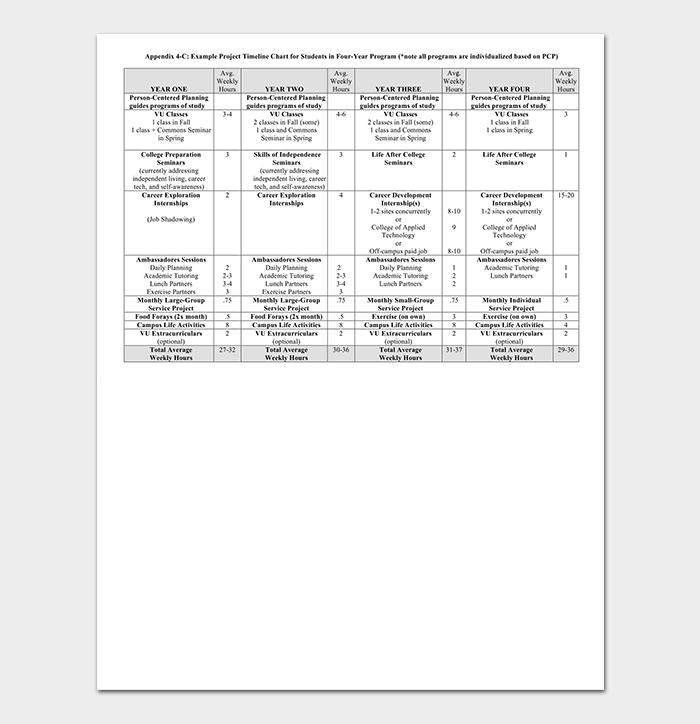 So, this helps project managers in the estimation of project budget, approval from stakeholders, work methods and strategies to be used, and performance of the project towards the achievement of set goals and objectives. 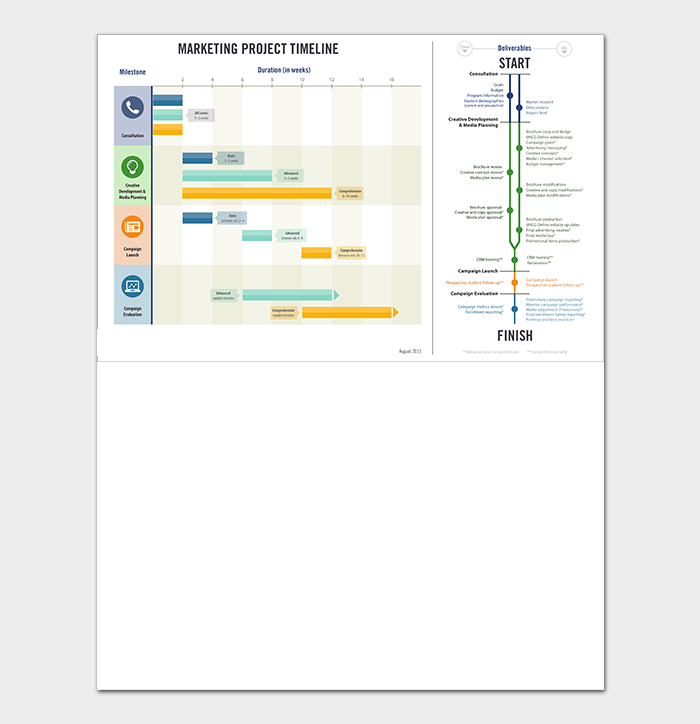 A project timeline is a written or visual illustration of sequential project processes and procedures that enable project managers and members to understand the intensity and structure of the project and how it should be executed. 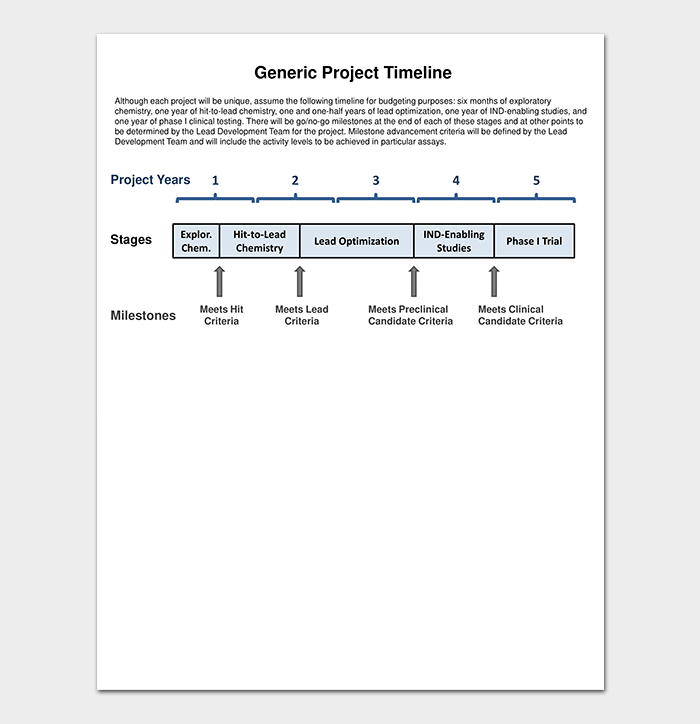 So, the main purpose of a project timeline is to create a relationship between team members and project tasks towards the successful completion and execution within the stipulated time frame. 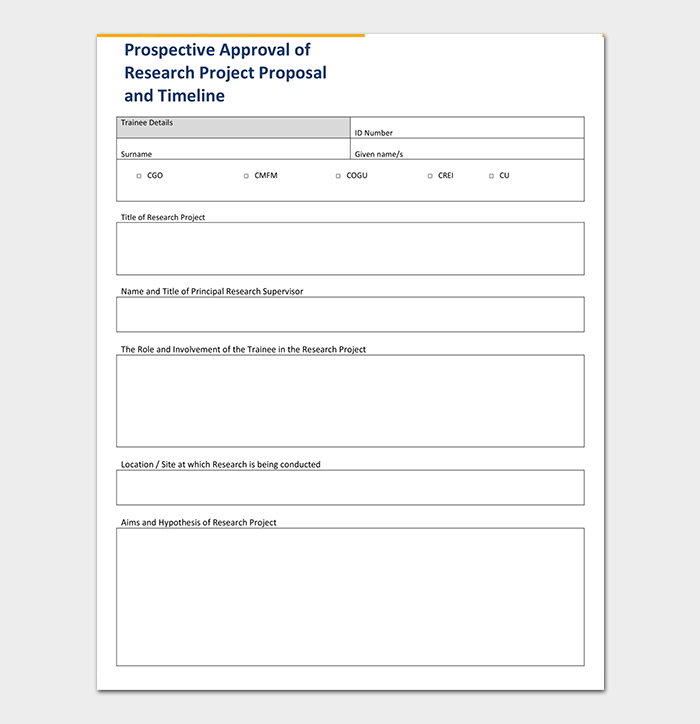 It shows the progress of the project phases and hence, offers assistance to project managers in the formulation of the project progress reports. 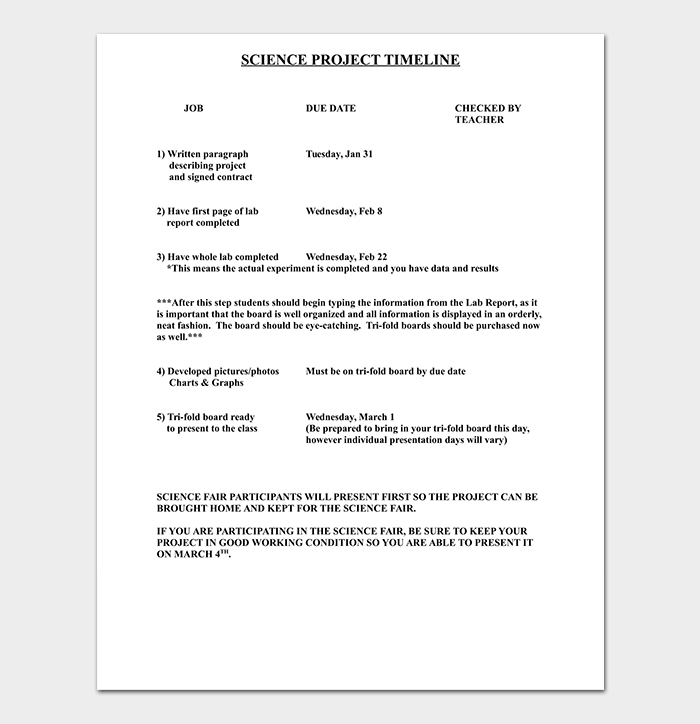 A Thesis Project Timeline is a work plan that demonstrates ways in which project milestones will be achieved. 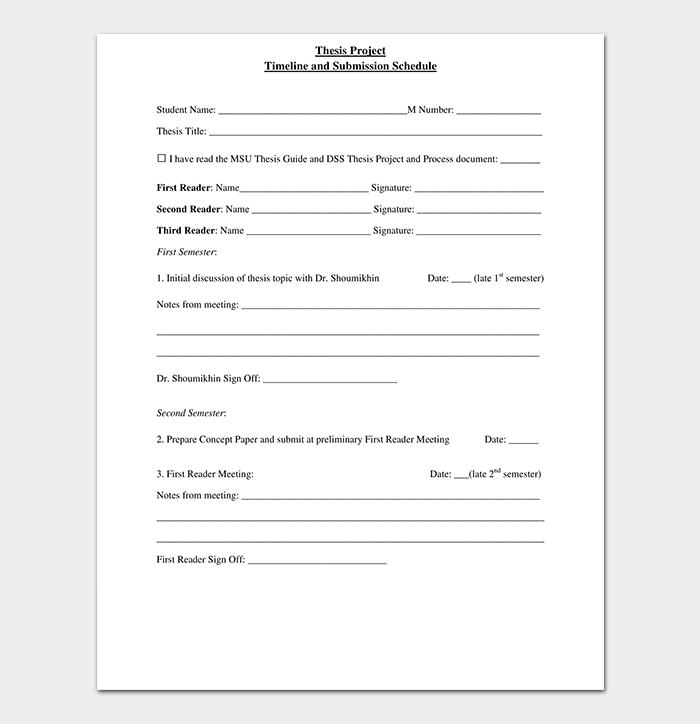 For example; Thesis project timeline will illustrate within what time frame Research findings will be conducted, the Time-frame within which the final research report will be written and submitted. 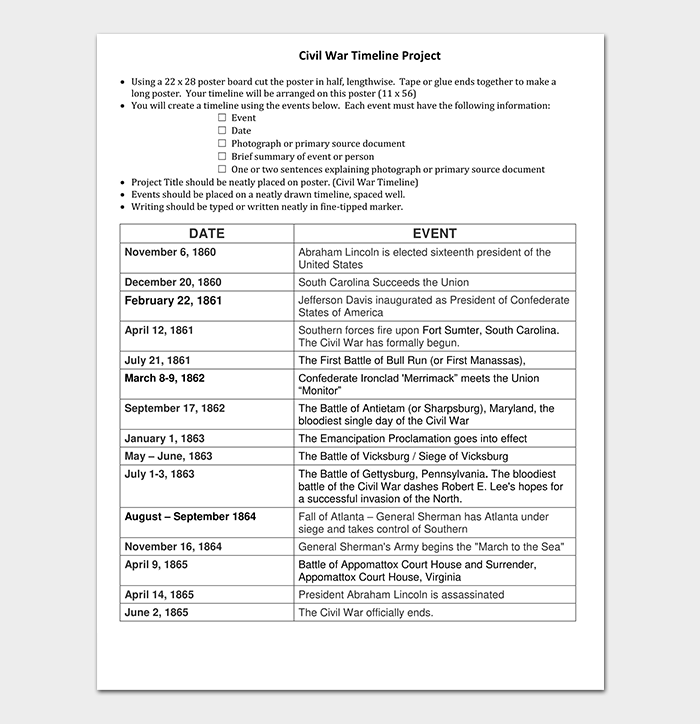 A project timeline assists in the implementation and monitoring of the project work plan. 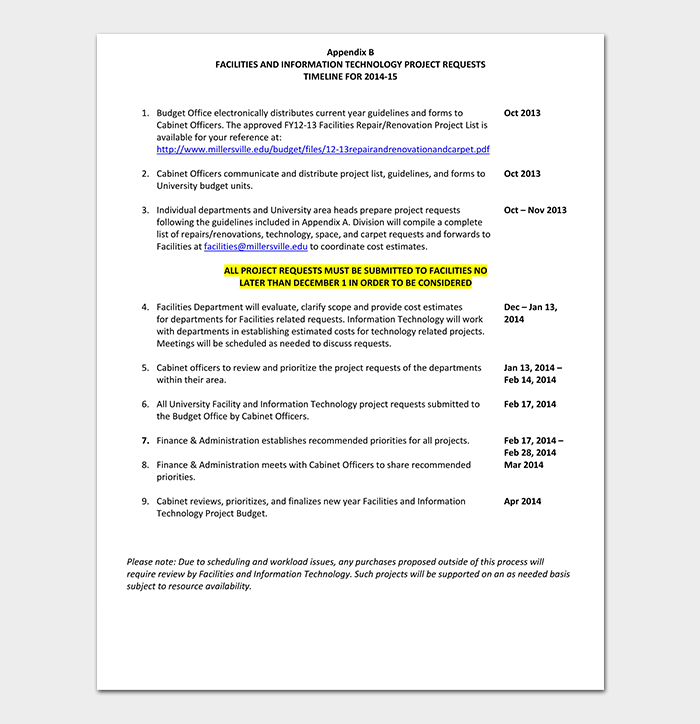 Additionally, a submission schedule shows the time frame within which the project will be surrendered to a facilitator upon completion. 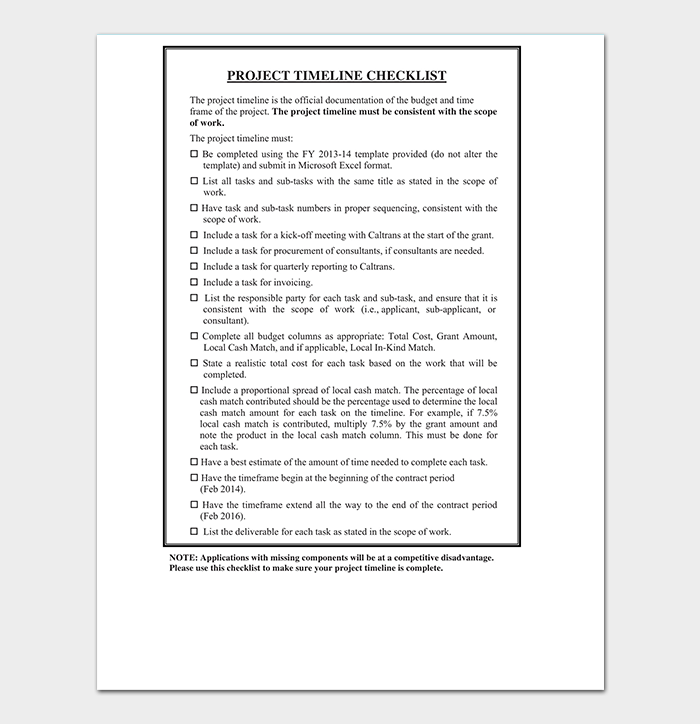 A project management timeline template demonstrates the various methods and strategies managers will employ towards the successful execution of the project in line with set goals and objectives. 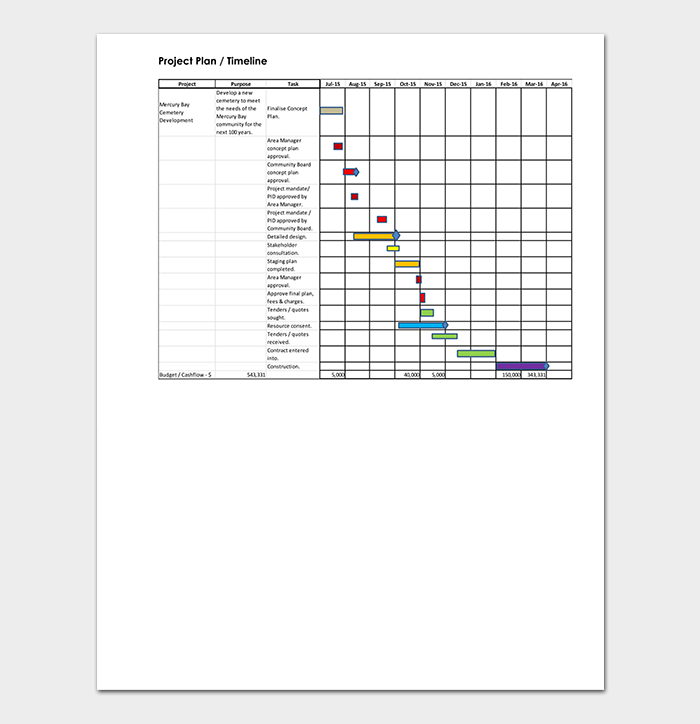 The rationale behind project management is to ensure that project phases are completed successfully and any issues that crop up, are dealt considerably to ensure that the project is not jeopardized and is completed within the stipulated timeframe. Without a proper work plan, it’s almost a guarantee that failure will prevail. So, The reason behind a proper project plan is to ensure the successful completion of a project within the estimated time frame in line with set project goals and objectives such as; quality requirements, demand requirements, supply requirements, stakeholder satisfaction among others. 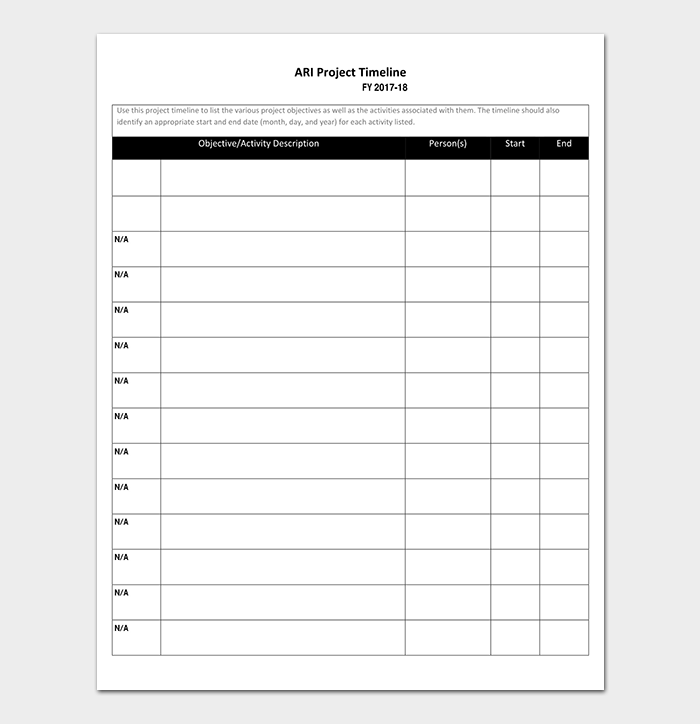 A project template will guide the project operations and activities, assist in securing approvals from financiers and managers, assist in project resource estimations, methods, and performance.